 Tarzan and Jane now live in civilised London with their son, Jack, who shows inclinations of having inherited some of his father's wild instincts. Jack attends a vaudeville show where an ape is being exhibited and the ape, an old acquaintance of Tarzan's, goes berserk when he recognises the ape-man's son. 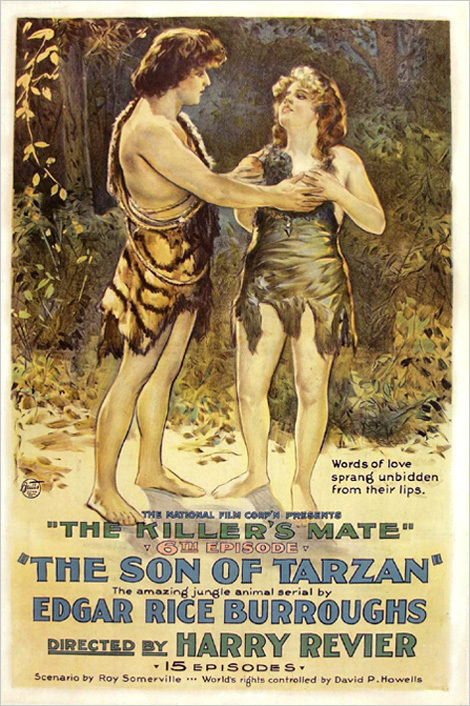 The ape's keeper, Paulovich, Tarzan's old antagonist, sees an opportunity for revenge and attempts to kill Jack, but Akut, the ape, saves the boy. Jack and Akut flee the scene and embark for Africa with Akut disguised as an elderly invalid and Jack posing as her grandson. Once in Africa Jack and Akut disappear into the jungle and Jack's wild side quickly develops until he becomes Korak (ape language for "killer"). 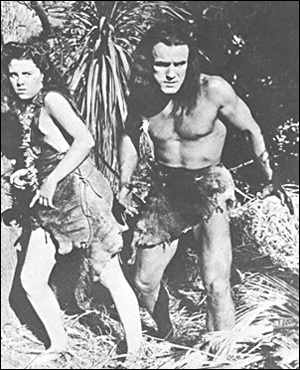 Korak rescues a young, white girl named Meriem from a band of cruel Arabs and together they mature into adults, both savage denizens of the jungle (left). 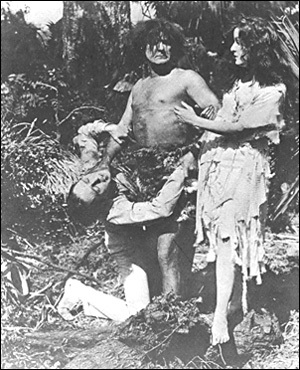 Tarzan and Jane (right) return to Africa, lured there by Paulovich with news that Jack may still be alive. Meriem is recaptured by the Sheik who raised her many years before. He also captures Jane, and Tarzan and Korak are soon converging on the same Arab camp. Paulovich is murdered by his partner, the Swede, who desires Meriem. Korak kills the Sheik but is captured and is being burned at the stake when Tantor, the elephant, arrives to save him. Korak is reunited with Meriem, Tarzan with Jane, and the long-separated family are together again.